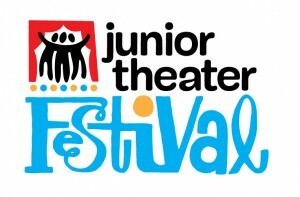 Announcing ESRT's 2019 Junior Theater Festival (JTF) Travel Team! Junior Theater Festival is the world’s largest festival celebrating young people and the transformative power of musical theater, bringing together student musical theater troupes from all over the world. Each troupe performs fifteen minutes from a Broadway Junior show for adjudication by a panel of musical theater experts. The weekend also features professional development for teachers, workshops for students and parents, a New Works Showcase featuring new musical adaptations soon to be released, and concludes with a grand finale concert headlined by Broadway’s best! ESRT’s travel team will travel to Atlanta from over the Martin Luther King, Jr., holiday weekend to JTF Atlanta. Eastern Shore Rep Kids: Peter Pan, Jr.
Eastern Shore Repertory Theatre: Mary Poppins, Jr.